Celebrate in style with Golden Yacht Charters! We specialize in creating golden memories! Whether it’s a birthday, wedding, anniversary, or a bachelor or bachelorette party, Golden Yacht Charters has packages available to take your special moment to the next level! These are your memories, and we know the good ones last a lifetime, so allow our Hospitality Director, Milos, and his team to ensure every detail is executed to perfection. Please ask about different options and opportunities available to make your special day a priceless experience. Celebrate your Milestone Birthday With a Golden Yacht Charters. Casual parties can be fun, but allow yourself and your guests to indulge a little! Celebrating special birthdays means treating yourself to world-class cuisine, partying aboard a gorgeous mega yacht charter. A significant occasion like your anniversary deserves your time and effort. A the best way is to celebrate than on board your own private luxury crewed charter yacht. Enjoy the silky blue ocean, balmy sea breezes, fine golden beaches and spectacular scenery while being pampered by your friendly, professional crew.. We can help you create a unique and exquisite event customised to fulfil your dreams and meet your needs. A luxury yacht provides fun, festivity and glamour which works for a variety of occasions and we know the boats and the destinations to make sure your occasion is indeed a special one. The crew and ourselves can also assist with those finer details such as flowers, photography, on-shore activities and music to ensure that all is perfect. 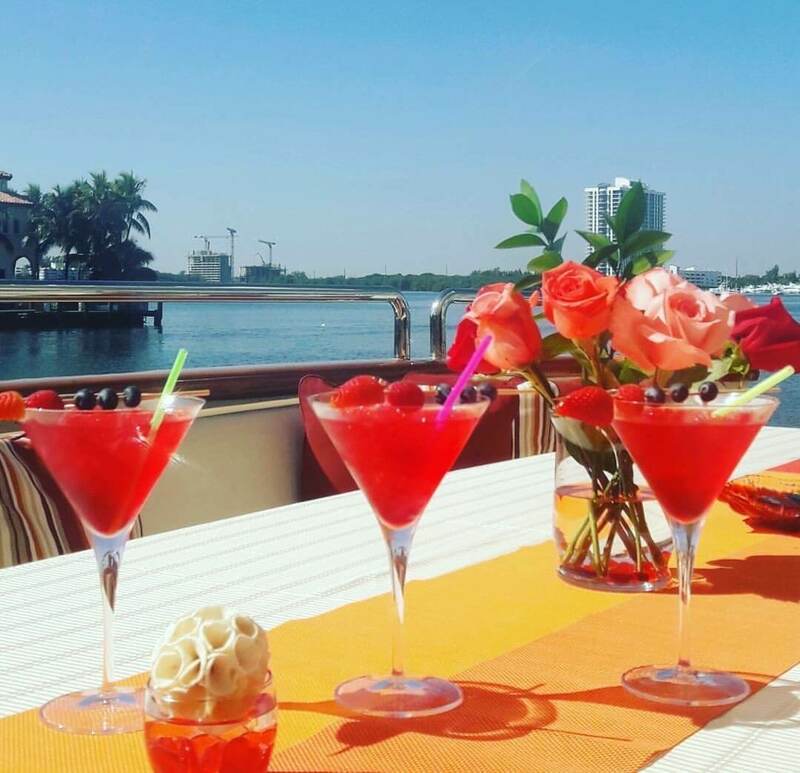 Make your corporate party unique, fun and memorable by chartering a luxury yacht in Miami. Our hospitality manager is always ready to assist in planning all details and any special requests from food, cocktails, decorations and more. Begin your marriage with a unique venue and beautiful views of Miami as your backdrop. We will work closely with you to ensure your special day is unforgettably perfect. Looking for a special way to celebrate the holidays? 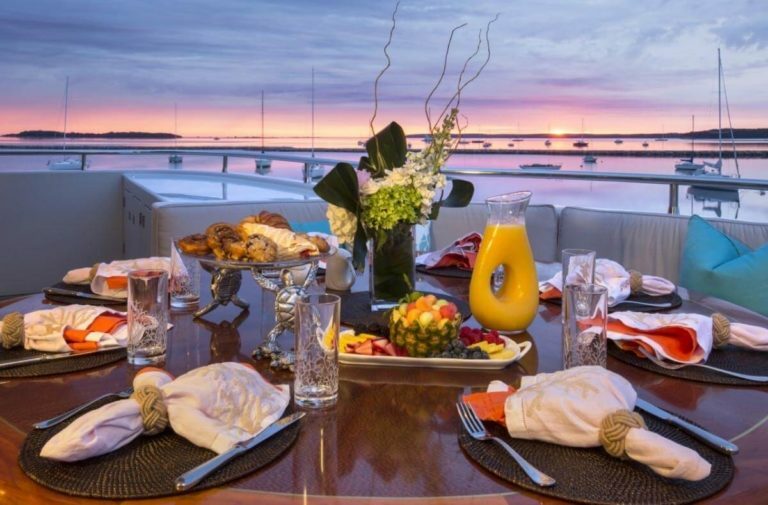 Host your holiday party on board a Miami yacht charter. Our experienced crew will provide excellent service while you cruise the waterways of South Florida. Enjoy your last sail before the vial! Wedding is right round the corner so that means it's time to plan the bachelorette party everyone won't be able to stop talking about for years. Search our fleet and find a boat with a captain big enough for your crew! Whether you're sailing, cruising or yachting, a boat is the perfect place for the you to get real tans before the big fat wedding night.